Denver school officials have asked the state to intervene in its pay dispute with teachers, a move that will delay a strike that had been scheduled to start Monday. Denver Public Schools followed through with its plan to ask for help from the state labor department on Wednesday after teachers overwhelmingly voted to strike. Alexandra Hall, the director of the department’s labor division, says the teachers’ union will be asked to respond to the district’s request. Until they do and the department decides whether to get involved, she says the union can’t strike. That process could take up to 24 days but it all depends on how long the union takes to respond and the state to decide. Union negotiator Rob Gould says the union will respond quickly. He says a strike won’t happen Monday but he couldn’t say how soon it could begin after that. Colorado Gov. Jared Polis is trying to see if he can help prevent Denver teachers from striking next week. Polis said Wednesday that he would meet with representatives of the school district and the teachers’ union to see if he could “play a role in bringing them together.” But the Democrat who has vowed to increase school funding declined to elaborate. 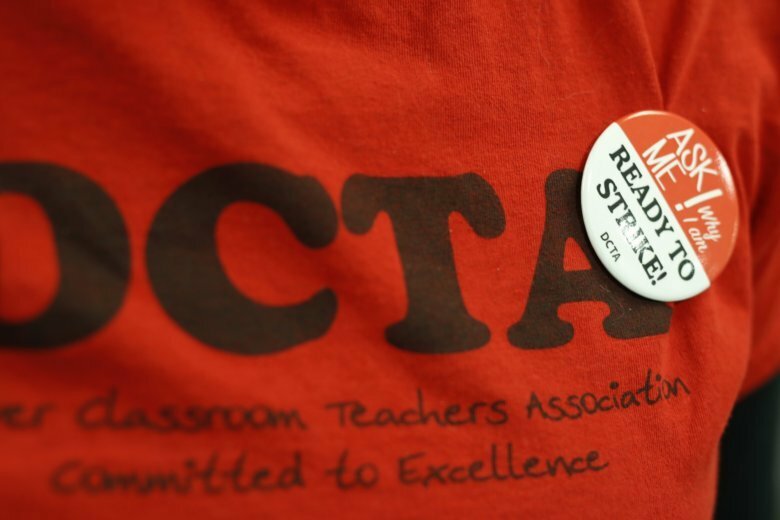 Teachers announced a strike vote Tuesday. The earliest they could walk off the job is Monday. However, the state labor department could also intervene and put the strike on hold for up to 180 days. Denver superintendent Susana Cordova says the school district will ask the state to step in but it’s up to the department to decide whether to get involved.